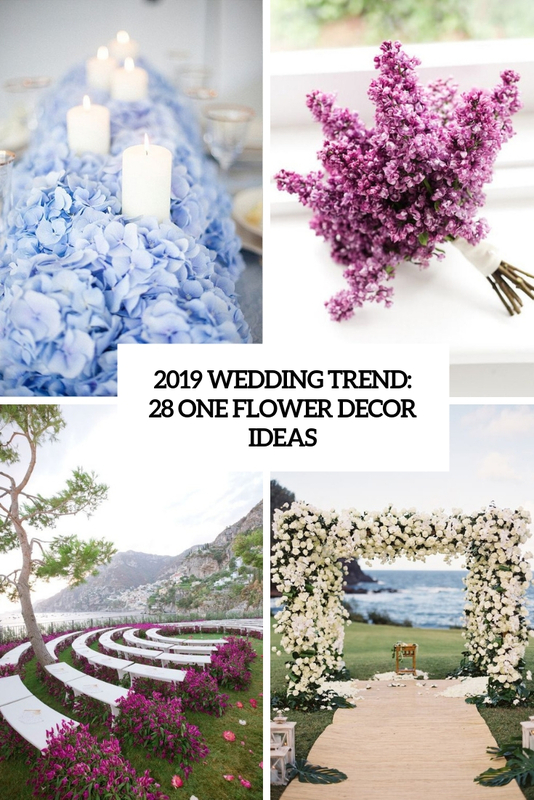 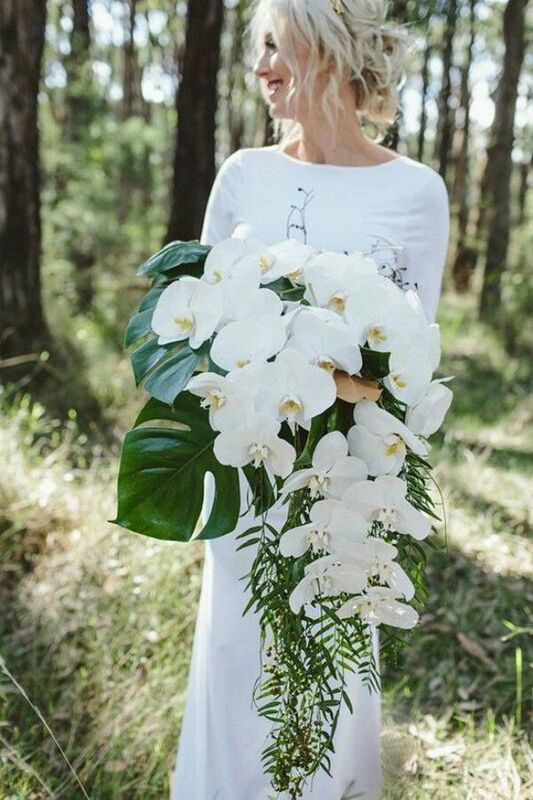 One flower wedding bouquets used to be popular and now they are making a huge comeback as the whole idea of one flower wedding decor is a hot trend of 2019. 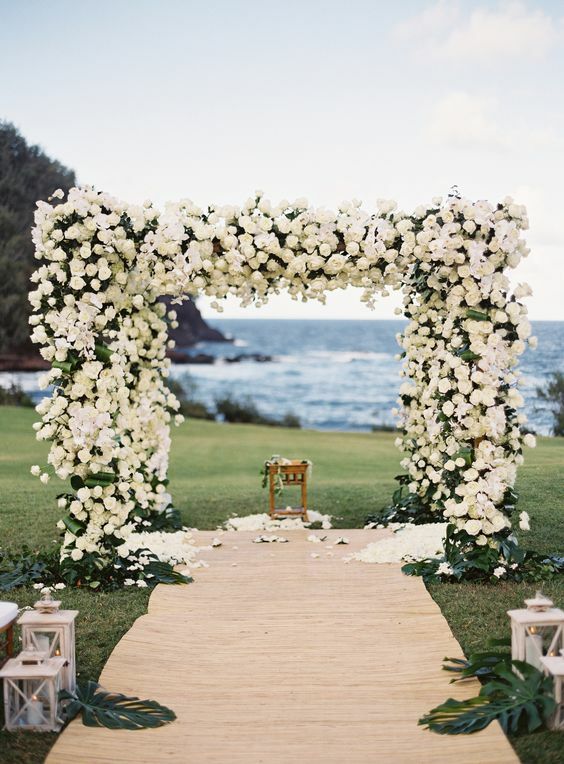 One flower wedding bouquets, arches, table runners, centerpieces and installations are welcome to give an edgy look. 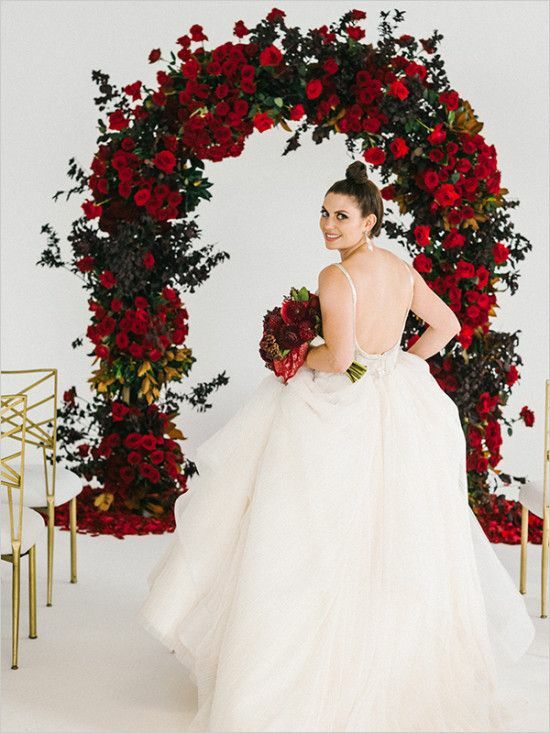 How to pull off this trend in 2019? 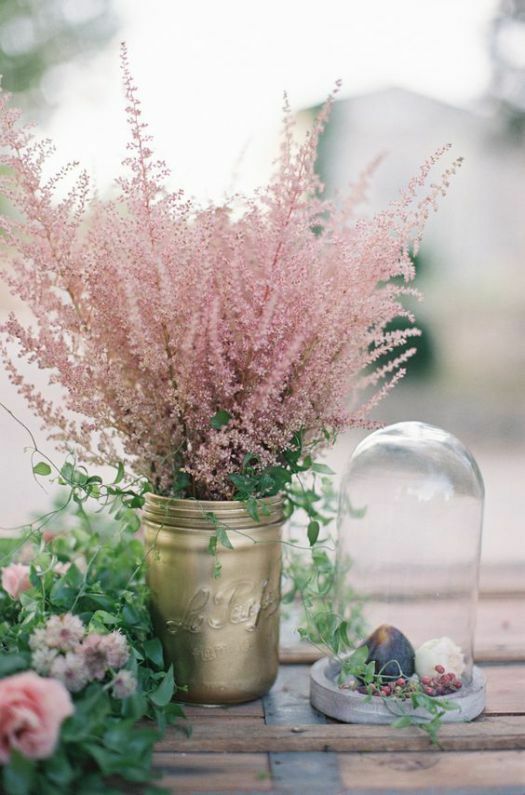 Mix the blooms with greenery to give them a more modern look! 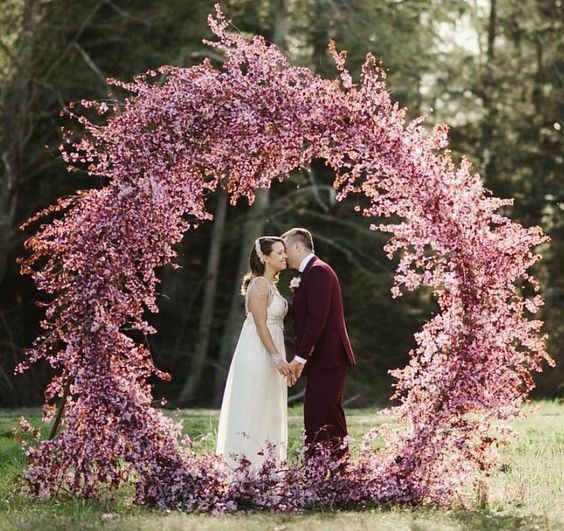 Here are some ideas you may like. 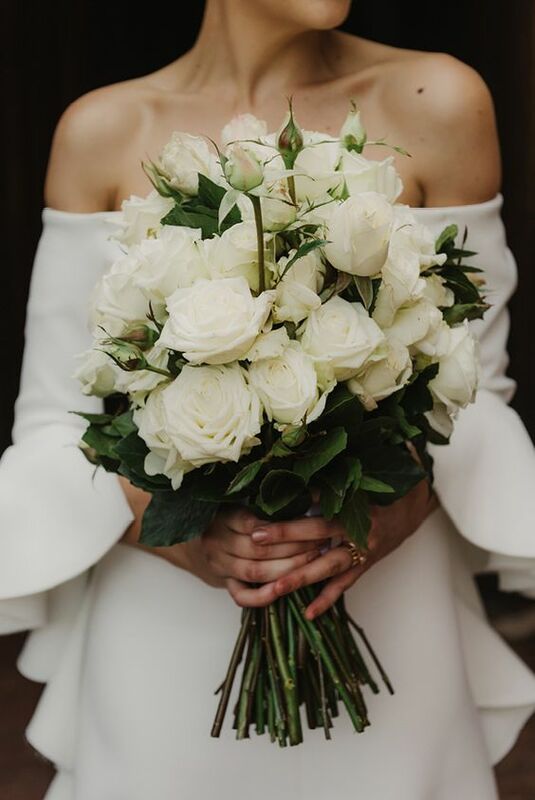 A one flower wedding bouquet has several advantages: first of all, it’s a hot trend of this year, which means it will give an edgy feel to your wedding. 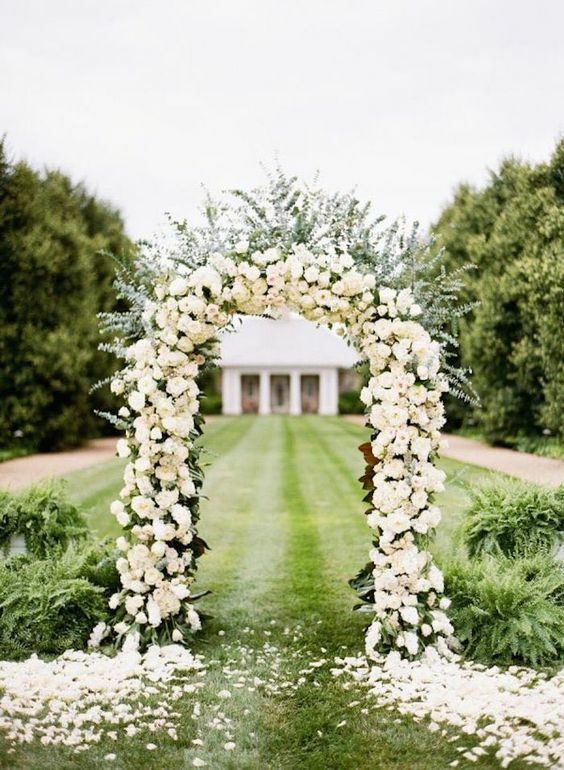 Second, it’s often more budget-friendly, and third, it may be DIYed – there’s nothing difficult in making such an arrangement. 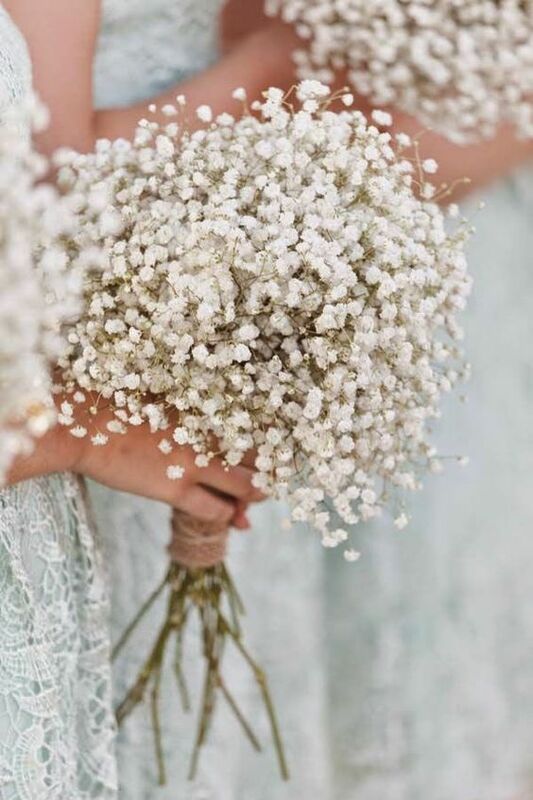 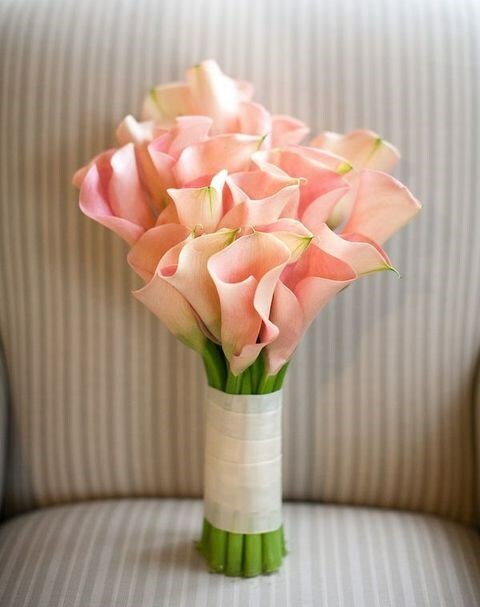 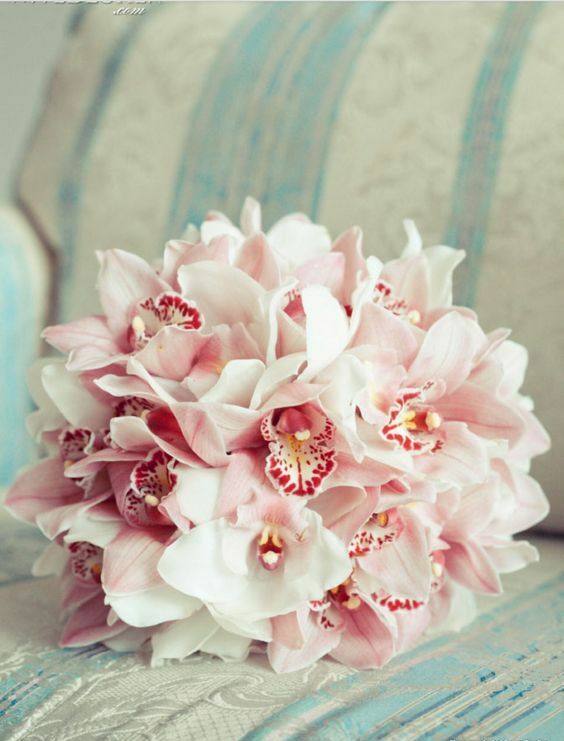 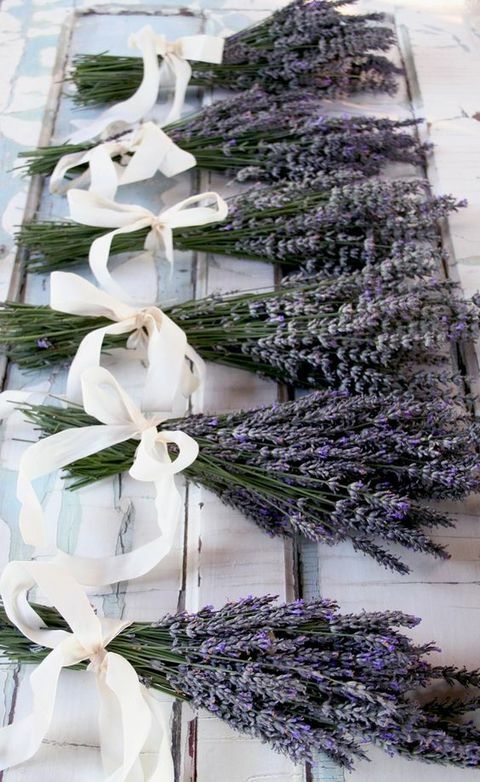 You may go for such bouquets for the bride and also for bridesmaids, too. 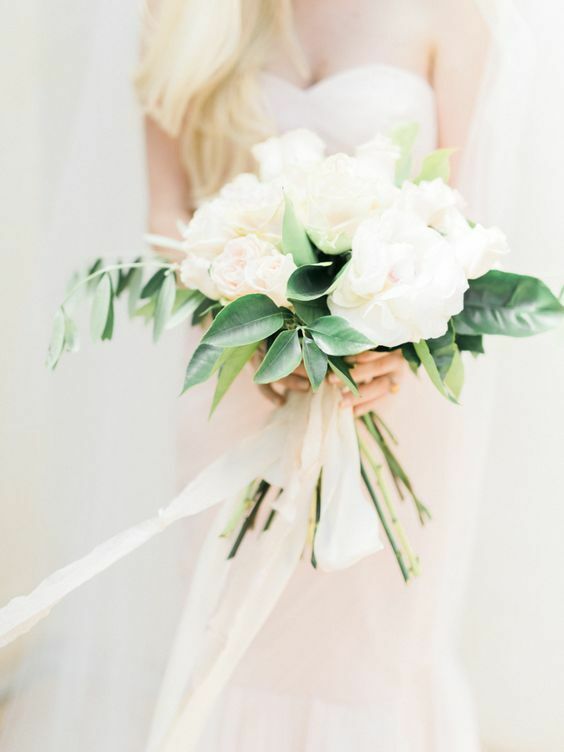 Some blooms require no other details and accessories to create a cool bouquet but others may be refreshed with greenery. 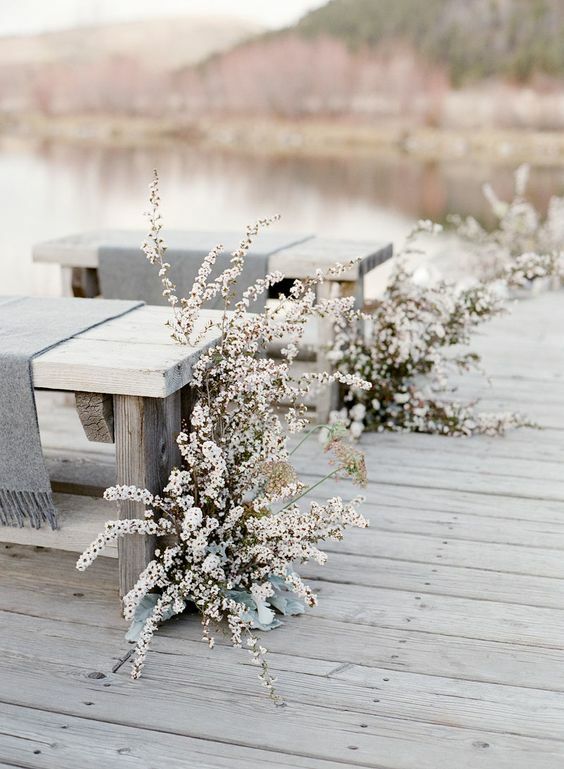 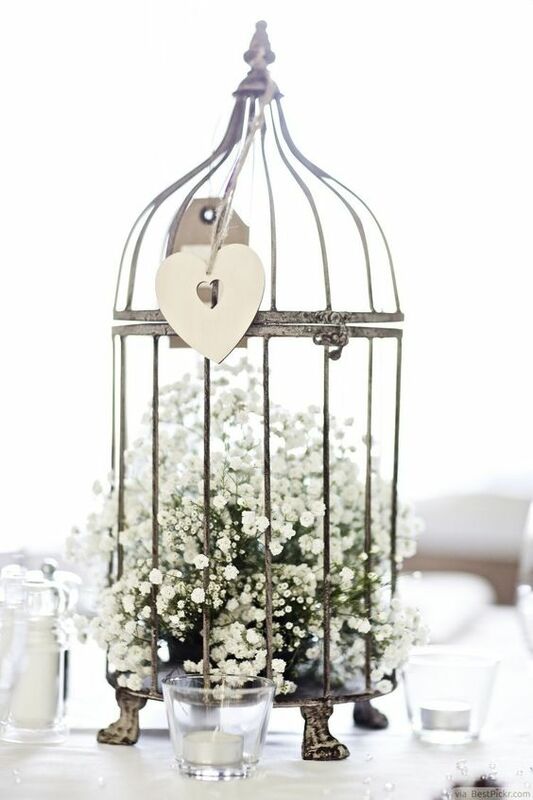 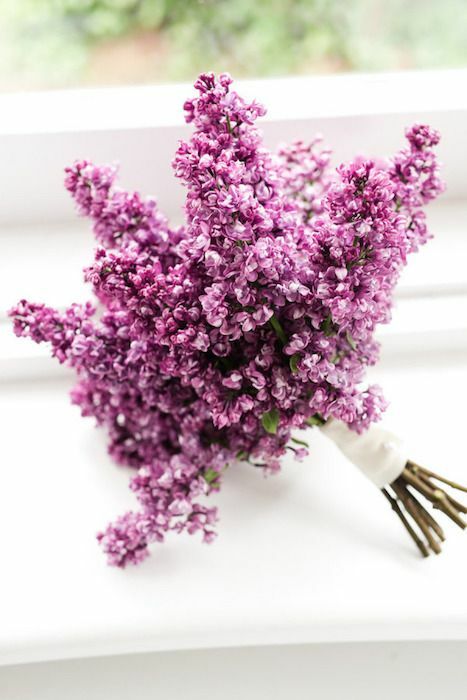 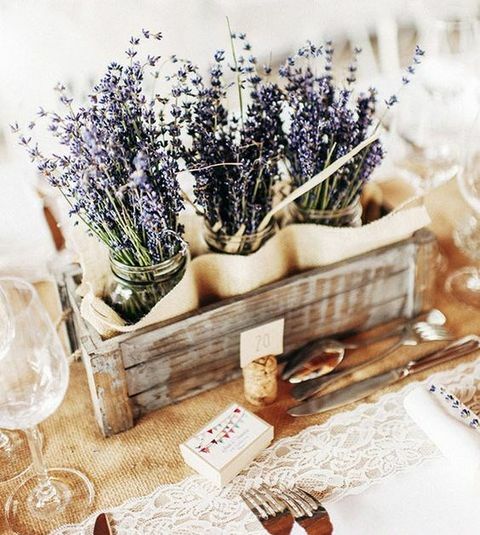 Lilac, lavender, calla lilies, baby’s breath, orchids and peonies look absolutely fine with no greenery (which will save your budget), and this list may be continued. 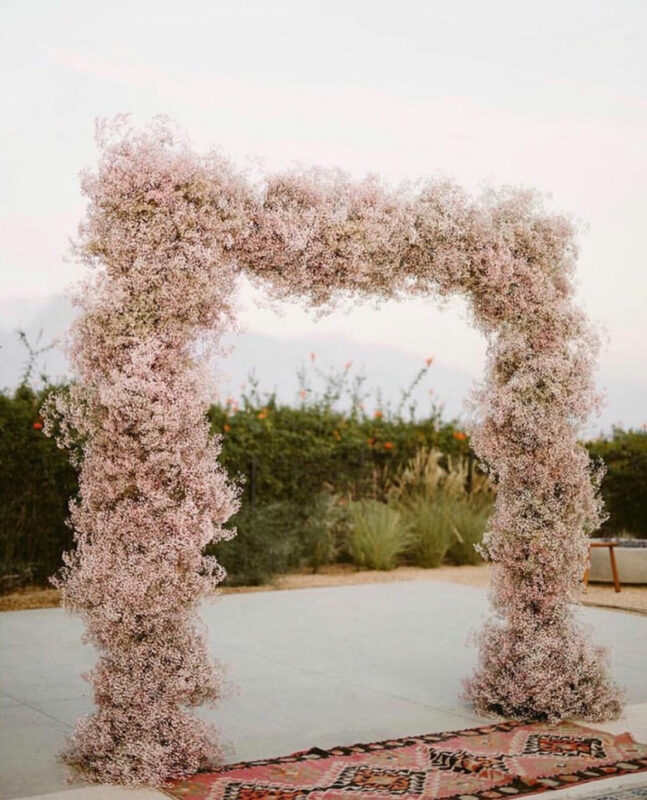 The one flower wedding trend may be applied to any wedding decor: centerpieces, table runners, installations, arches and chuppahs. 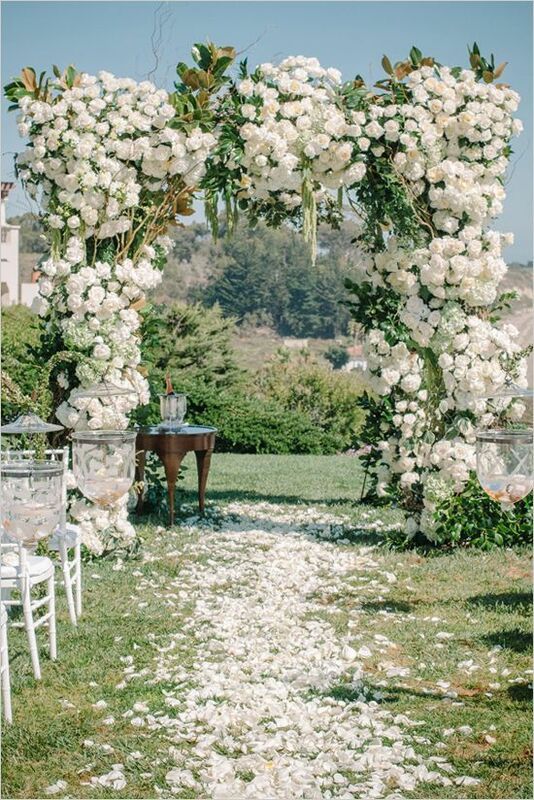 Rock a lush floral arch or chuppah completely covered or just interwoven with blooms and maybe with a touch of greenery. 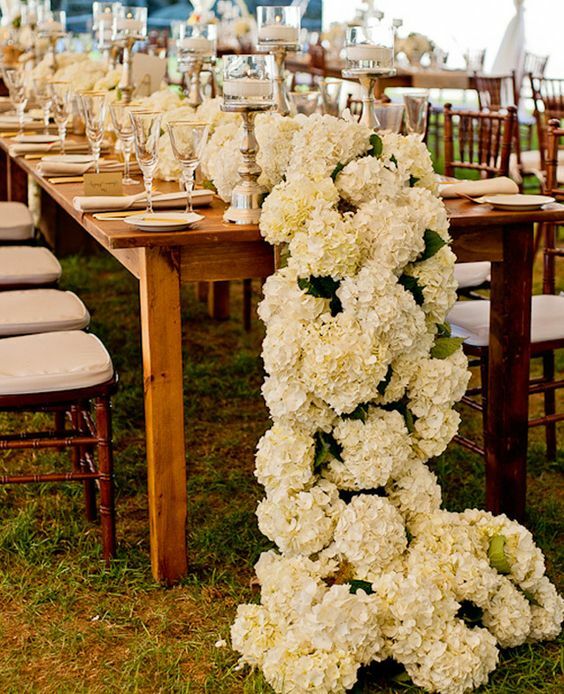 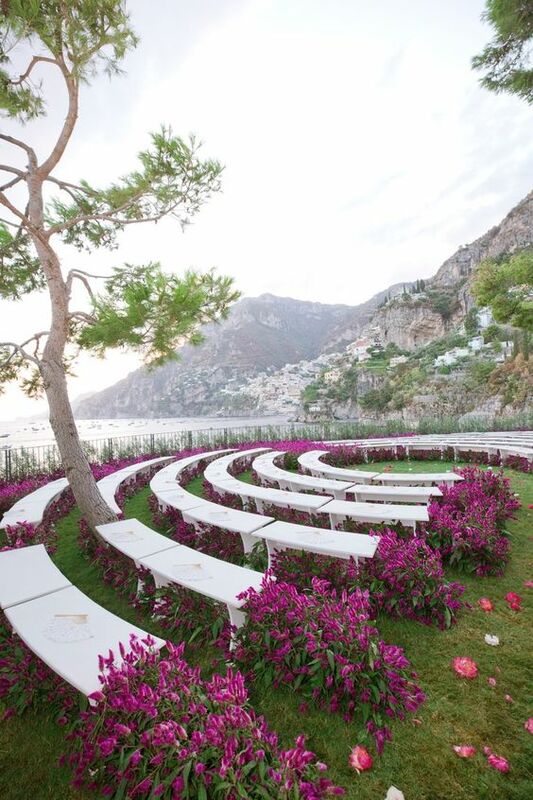 Your wedding aisle can be also done with the same type and color of flowers, place your arrangements right on the floor next to the chairs or benches. 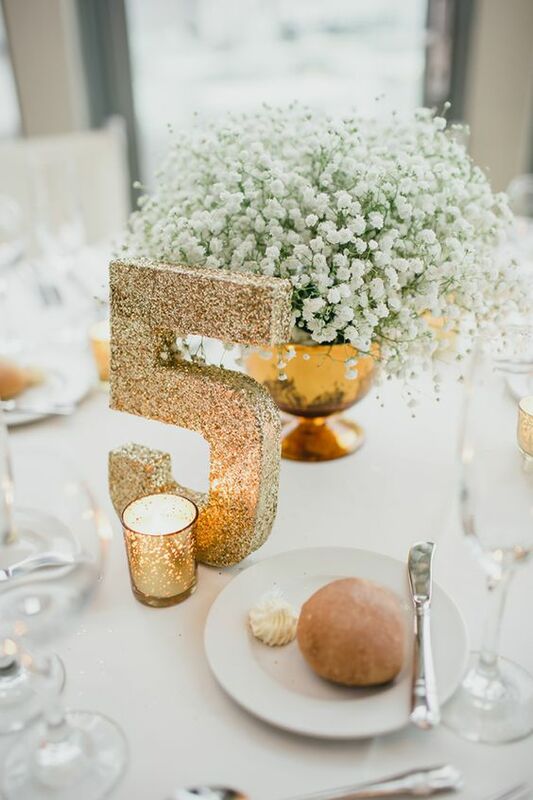 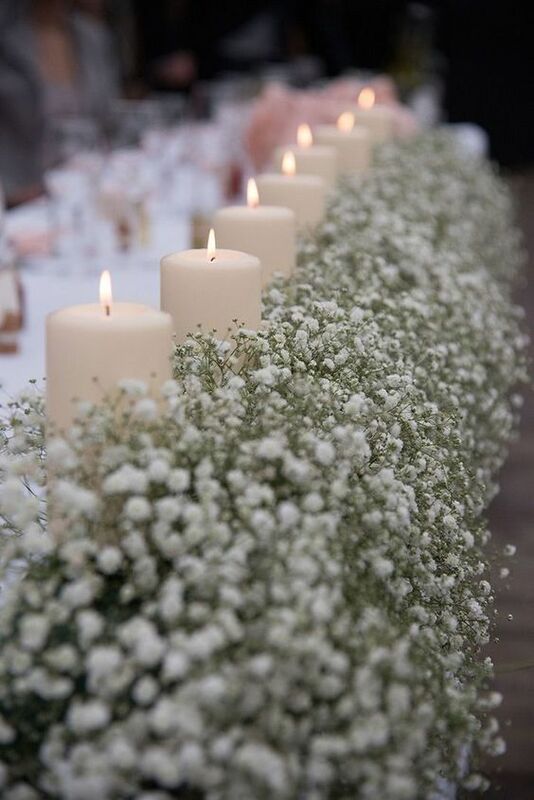 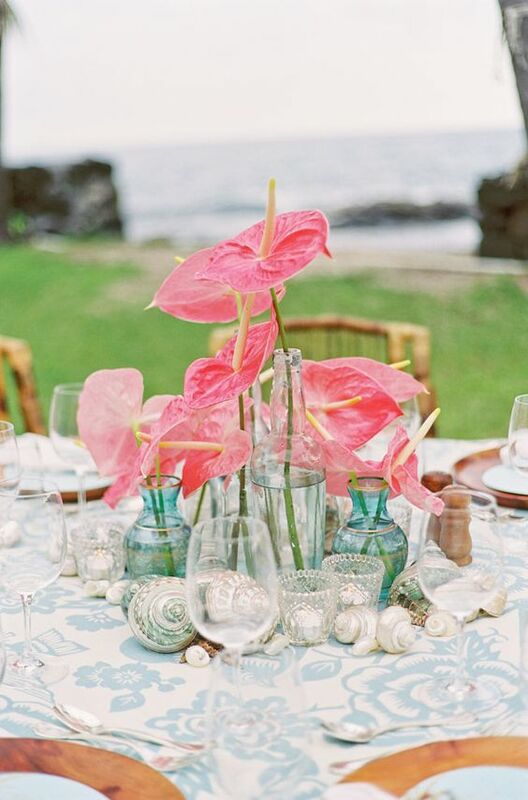 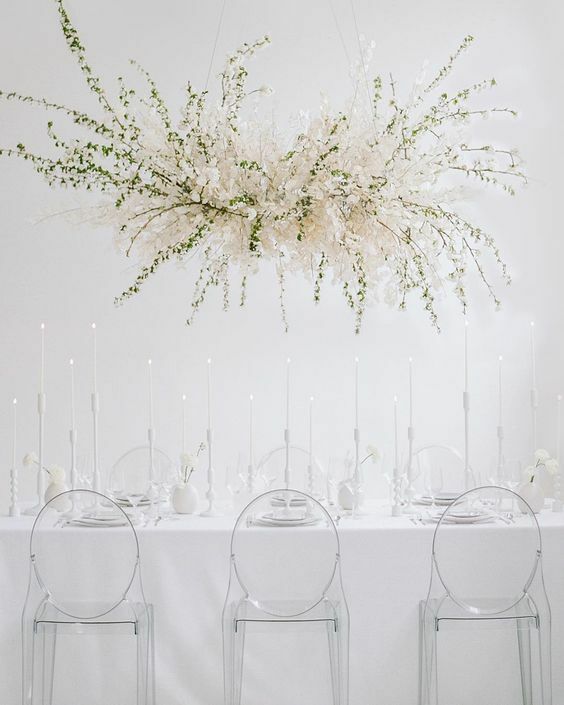 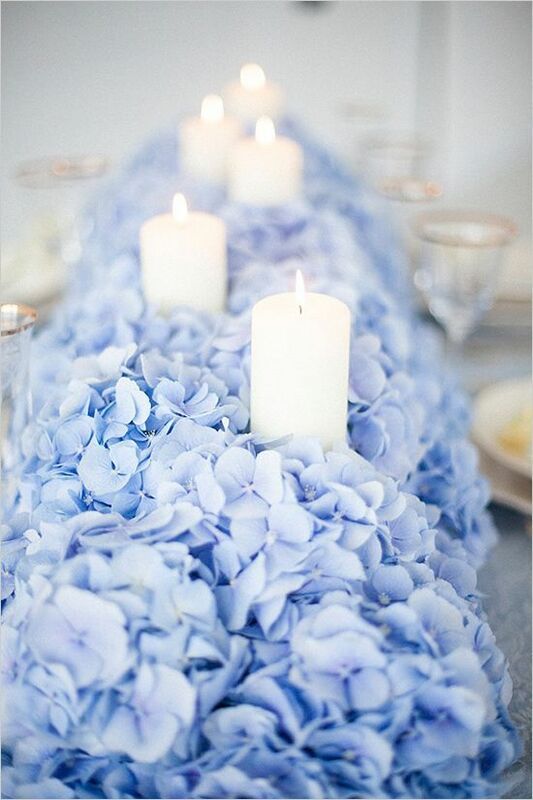 Prefer one flower wedding centerpieces or lush runners going down to the floor dotted with candles to give your tables a chic look with a touch of timeless elegance. 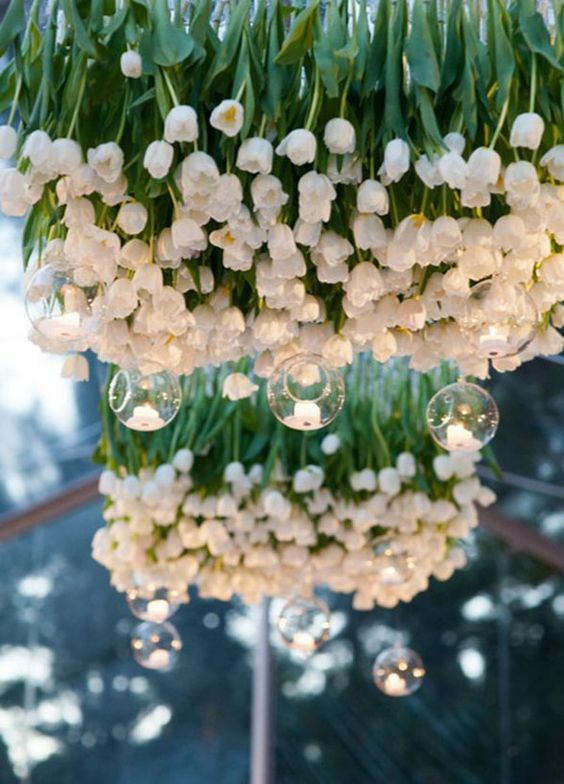 If you want a luxurious wedding chandelier or an overhead decoration, go for one flower again but add much greenery to make it look edgy.